Many pets display anxiety related behaviour when exposed to common triggers such as loud fireworks, meeting strangers and new animals joining the household. Sometimes, however, their anxiety can be related to not having their basic needs met. The Animal Welfare Act was passed in 2006 and advises that all animals should have five basic welfare needs met including the freedom to display normal behaviour patterns. Sometimes it can be difficult for animals to adjust to modern lifestyles and this can cause them to express a variety of behavioural issues which can consequently affect an animal’s health. Across the Avonvale Surgeries we have a wide range of expertise in dealing with common anxiety-related issues and we can advise owners how to recognise and tackle these problems. Cats often display stress by inappropriate toileting, over-grooming or becoming withdrawn. Often simple changes can be made to restore happiness to our feline friends. Dogs can show anxiety by increased vocalisation, increased aggression or destructive behaviour. Subtle changes in a dog’s body language can indicate they are suffering from high levels of anxiety. Sometimes small tweeks in their environment and routine can make a huge difference. Rabbits and ‘small furries’ can also exhibit anxiety if their basic needs aren’t met. Our vets and nurse are happy to offer advice regarding environmental enrichment and best husbandry techniques for providing the happiest possible homes for these pets. Dental disease among cats, dogs and rabbits is one of the most common problems we deal with at Avonvale and there are some simple steps all pet owners can take to improve their furry friend’s oral health. 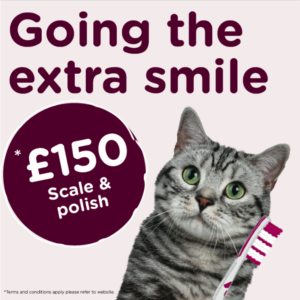 To help you get started on the road to better dental care for your pet, we’re offering a scale and polish for £150, from now until 31st March 2019. Please call your local surgery to find out more, or see our offers page at www.avonvets.co.uk/services/offers/ for more information. 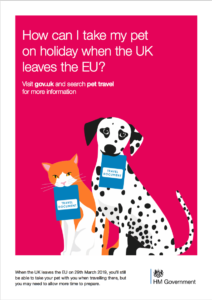 We’re advising pet owners they have until the end of the month to act if they intend to travel to the European Union (EU) with their furry friend from the end of March. 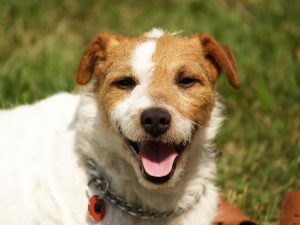 Currently, dogs, cats and ferrets can travel anywhere in the EU as long as they have a pet passport, which sees owners take their animals to an Official Veterinarian (OV) three weeks before a trip to be microchipped and vaccinated against rabies. However, last month, the Government issued a paper preparing for a possible No Deal Brexit, in which it advised pet owners wanting to go abroad after 29th March 2019 that they have to take their pets to an OV at least four months before travelling – meaning the end of November deadline is fast approaching. 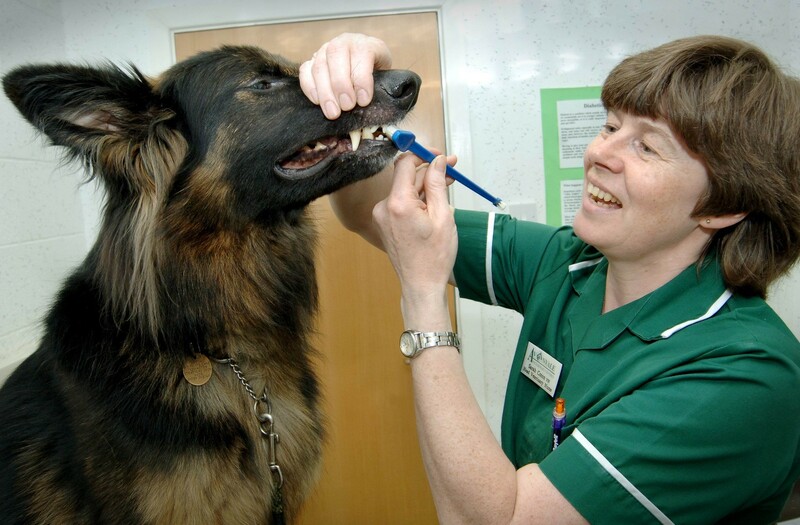 The turnaround for organising microchipping, vaccinations and a pet passport has always been relatively short but the Government has now warned that, with no EU deal, pet owners may have to visit their OV as early as the end of next month for an April trip abroad. The pet could have to have a rabies vaccination, followed by a blood test at least 30 days after the date of vaccination to show the pet has become immune. Once that is completed, the pet would then have to wait at least three months from the date of the blood test before they can travel. This process takes at least four months in total. Owners would then have to visit a vet to obtain a health certificate, which can’t be done more than 10 days before travel. It’s certainly worth being organised ahead of any planned trips abroad with your pets early next year and with time ticking until the November deadline, I’d recommend getting your animals booked in to see an OV as soon as possible to avoid any undue or unforeseen delays. Please call to speak to one of our OV vets if you need any help or advice on pet passports. Further information on the issue is available via the GOV.UK website. It may be hard to believe but it’s that time of year again, when we start thinking about how best to care for our pets as fireworks season gets under way. 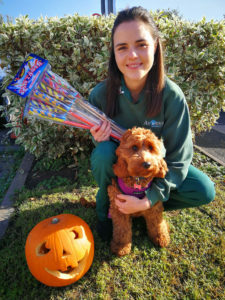 We know this can be a very tough time of year for pets, who can become stressed and unsettled as fireworks are used ever more frequently – not only for the traditional November 5th bonfire night but also in celebration of Christmas and New Year’s Eve. With temperatures due to rise again, here is some advice about keeping your dog safe in the heat. The dangers of leaving pets in the car in this heat are well known but we should also beware of the temperatures that can occur in closed caravans and conservatories. Pets shut inside need shade, ventilation and access to plenty of water. Active dogs and those with dark thick coats can also be prone to heat exhaustion if walked in the heat of the day. 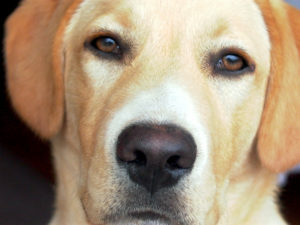 Although a dog may continue to play and run around they may in fact be experiencing the first signs of heat exhaustion. Signs are excessive panting with chest heaving, restlessness and even vomiting and diarrhoea, leading to collapse. Heat stress and dehydration can be fatal if not treated immediately. If you suspect your dog to be seriously dehydrated, contact your vet immediately and try to keep your dog cool by showering them with water, covering in wet towels and fanning to aid evaporation. In this heat avoid excessive exercise in the middle of the day and restrict walks to the cooler early mornings or evenings. Keep water available at all times and encourage your dog to drink. You may also have read the misleading posts doing the rounds on social media recently about giving ice to dogs. There is no danger in giving your dog ice cubes to crunch on or a cold paddling pool to play in. There are both great and fun ways to help your pet stay cool during the summer. Neutering a female dog can either be performed via the traditional method, where the abdomen is opened and the uterus (womb) and ovaries are removed, or using laparoscopy. This involves two small incisions made in the skin, through which the instruments and camera are inserted. The ovaries are removed leaving the uterus in place. Your pet will be admitted by one of our nurses on the day of the procedure. It is important that they have had no food since midnight but can be allowed water over night. Two small incisions will be made in the skin and the cameras and instruments inserted through these. Once the ovaries have been remove these little holes will be closed, normally with dissolvable stitches that are buried beneath the skin. Your pet will be discharged on the same day. 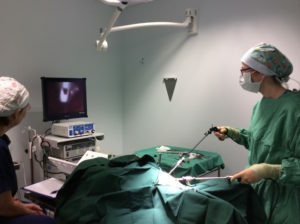 As with humans undergoing laparoscopic procedures we will ask for consent to convert to a conventional approach during the procedure if necessary. This is extremely unlikely to happen and would only be performed if unforeseen circumstances arise where it would be safer for you pet to do this. Your dog will be sent home with a plastic collar to wear. This will prevent them licking at their wounds and introducing infections. This should be worn at all times unless they are under your direct supervision. 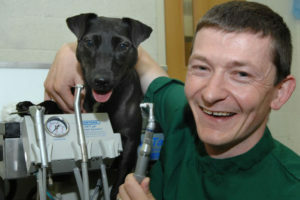 Most animals are a little quiet after an anaesthetic and can have a reduced appetite for up to 24 hours. 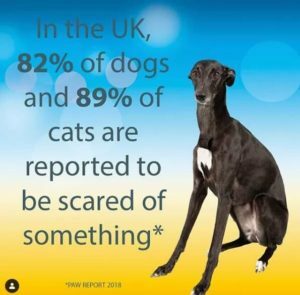 They should be kept on the lead for 3 days, at which time they will have a post-operative check with one of our nurses (or back at your normal vets if they were a referral). They will examine the wounds and make sure everything is healing well and after this they can resume normal exercise. A pain killer (metacam) will be dispensed when your pet is discharged. This should be given for 2-3 days after the operation. 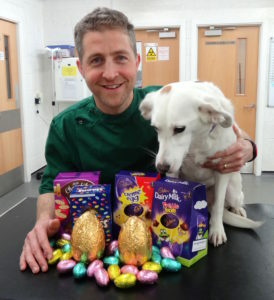 Don’t under estimate the temptation of chocolate for dogs and keep it well out of reach especially at Easter. It’s not just a dodgy tummy that we worry about. Chocolate contains theobromine which a dog cannot digest and so it becomes toxic to them. Theobromine affects the liver and in large quantities can be fatal. The higher the cocoa content of chocolate the higher the risk of liver problems so dark chocolate is more potent than milk chocolate. Any chocolate can have toxic effects depending upon the size of your dog and the quantity they have consumed. If you think your dog has managed to eat any easter eggs do contact us for advice. The most important information we will ask for is the weight of your dog, the type of chocolate and the amount eaten. If your pet does eat something it shouldn’t have, give us a call. Our 24 hour emergency service will be operating as usual throughout the Easter weekend so you will be able to contact an Avonvale vet at any time if your pet needs urgent medical attention. Myomatosis is a disease that affects rabbit. It causes puffy, fluid filled swellings. They can get “sleepy eyes”, swollen lips and swellings around their rear ends. In some the swelling is so severe that it can cause blindness. Most rabbits will then stop eating and drinking and can develop breathing problems. 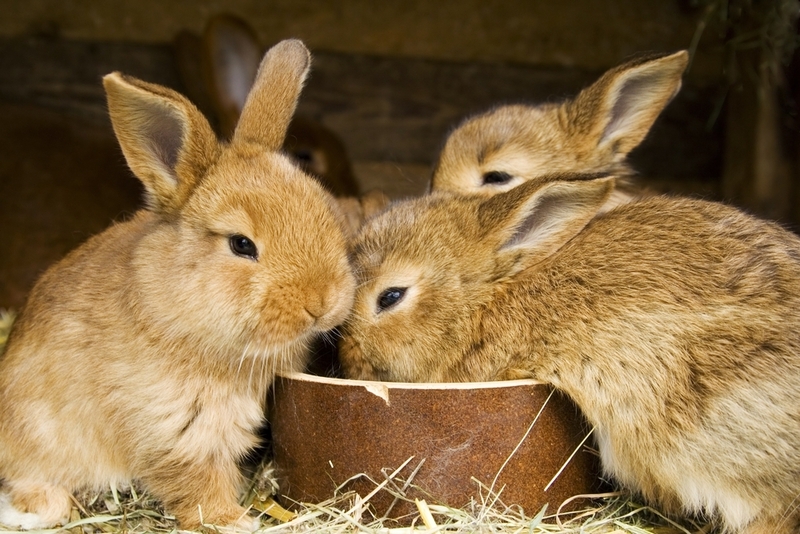 It is spread by blood sucking insects, such as mosquitoes and fleas, and also by direct contact between rabbits. Most infected rabbits die within 12 days. There is no treatment for this disease but fortunately we are able to help protect rabbits by vaccinating them. A vaccine once a year can help keep them safe. Call us today to book your rabbit in for a health check and vaccination.